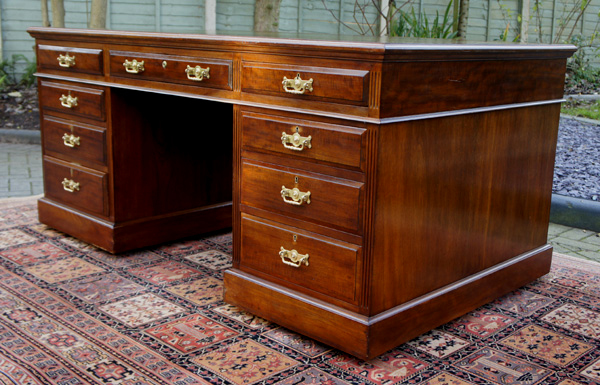 A very good quality 18 drawer antique partners desk made from well figured solid mahogany. This is a large size, very handsome desk with a beautiful rich mahogany. and a replacement green hide writing surface with gilt and blind tooling. There are three drawers fitted to the top of each side and each pedestal is fitted with three drawers to the front and reverse. The pedestals have fluted edges and all drawers are mahogany linings, hand cut dovetail joints and original brass handles and locks. 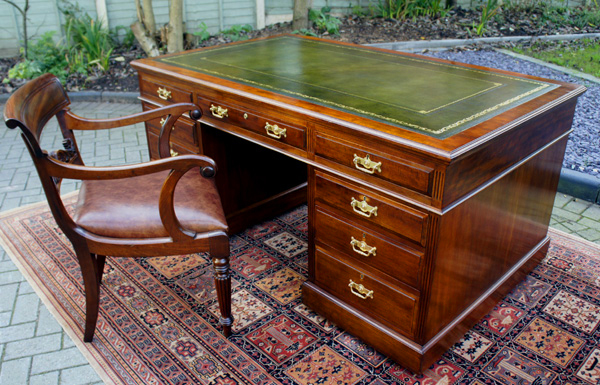 This well proportioned handsome desk would make an attractive focal point for any office, study or library. 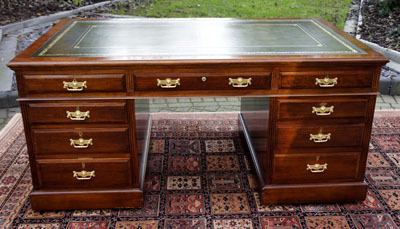 Although there is no stamp mark the desk is in the style of Maple and Co. of London.